Sat 5th May 2018 : "A Personal Selection of Wines from France" with Lyn & Dave in Henfield. Tastings with Lyn & Dave at their home in Henfield are always eagerly anticipated. This evening was no exception and the wines and food were much enjoyed by all who came. 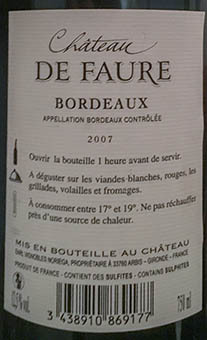 A basic acceptable Bordeaux blend. The next wine that Dave served, however, demonstrated the superior quality (and price!) of a Grand Clu Classé of the same vintage. 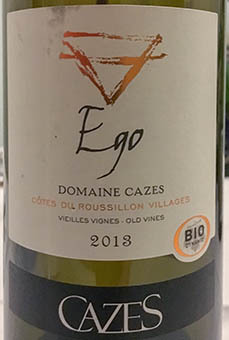 Classic white Bordeaux blends are pale gold in color, perhaps with flashes golden-green, and are characterized by aromas of citrus, grass and hay. 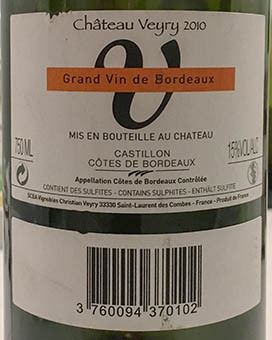 If made according to tradition, and in line with appellation laws, a classic Bordeaux white wine will contain at least 25 percent Sauvignon Blanc, to ensure a certain aromatic freshness. 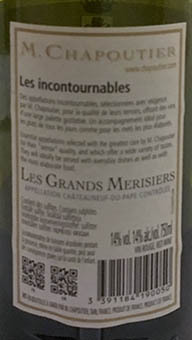 For lighter-styled, aromatic wines, a winemaker will favor Muscadelle. For a richer, more cellar-worthy style, a higher proportion of Semillon is used. 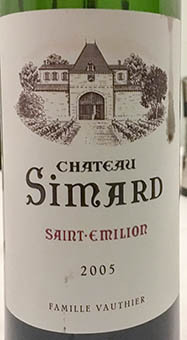 Château Simard is made from 80% Merlot grapes and 20% Cabernet Franc grapes. 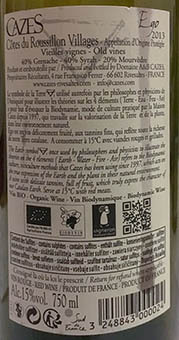 Cabernet Franc grapes are specifically grown to blend with Merlot, or Cabernet Sauvignon – they are a bit lighter than Cabernet Sauvignon and give a slightly peppery note – contributing some of the complexity of this wine perhaps (some 49-57% of a Cheval Blanc – the leading estate in St Emilion – is composed of Cabernet Franc grapes). 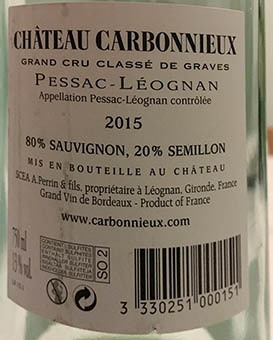 Cabernet Franc grows well on gravel – found scattered over the alluvial plain in St Emilion as well as in a more concentrated bed to the north-east of the region. 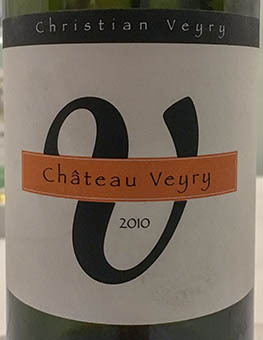 Quote translated from a Dutch website: "Christian Veyry, one of Bordeaux's most praised talents, is a true artist. His miniscule domain of just 4 ha produces barely a few thousand bottles. 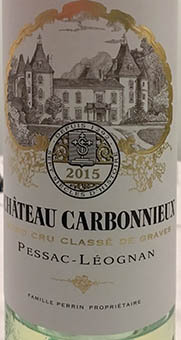 His wines are unanimously recognized in the international wine press that makes many St. Emilion Grand Crus fade. As an oenologist, he advises hunters such as Valandraud (St. Emilion Grand Cru) and La Fleur (Pomerol) and assists the Michel Rolland team. An honor and pleasure to let you discover this pearl. Very deep color. Surprisingly how subtly everything here has been rigorously merged. 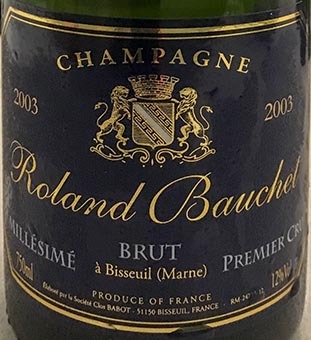 Both in the nose and mouth masses of ripe fruit, roasted with enormous depth and grandiose fleshy but gossamerly tannins. The elegance and finesse of the generous merlot determine the exquisite, velvety taste. 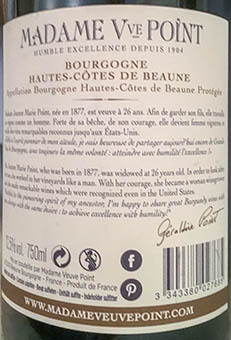 Without doubt an absolute classy wine that certainly should not be missing in your cellar." Cornas, which has only about 270 acres (110ha) of vineyards, is on the western bank of the Rhone river, just south of the larger Saint-Joseph appellation, which is about 20 times its size. 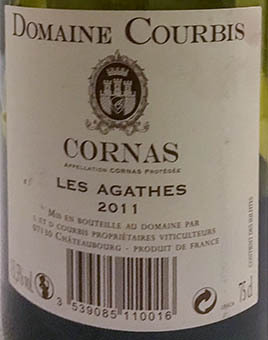 Cornas' limited size brings focus to its wine production and it does not suffer from the variable reputation caused by higher output volumes as Saint-Joseph does. 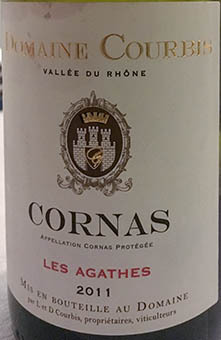 At present, the Cornas wines do not attract such high prices as their better-known rivals to the north, so they provide affordable access to high-quality wines characteristic of the Rhône style. The best wine-growing areas of Cornas are located to the west and particularly the north-west of the village, where the sun-baked slopes (Cornas is an old dialectal term for burnt land) are protected from the cold north winds that move down the valley. These granite-based slopes rise dramatically from the western edge of the village, rapidly reaching heights of 1150ft (350m). The majority of the vineyards planted on these sites are terraced for stability and to make viticulture possible. Granite has been identified as being a valuable part of many Rhône terroirs, as it is an efficient heat retainer, provides rapid drainage and is of low fertility, which forces the vines to form deep, strong root systems. For supper Lyn served a very tasty Salmon en Papillote with Vegetables (recipe) followed by desserts and a selection of cheeses and tea/coffee.